Windows 10 is designed to add functionality on a familiar platform that will boost employee productivity and ensure a great user experience. It's one way your employees can get more from their modern devices. Combined with the flexibility of a modern workplace, you can increase your business productivity. At Breakpoint Technology, we can help you adopt and implement Windows 10 and get the most from the new solutions that are available within it. Get the most from your new devices. Contact us today to learn how. Explore the possibilities that Windows 10 brings. With enhanced features and capabilities, you can be more productive and secure. 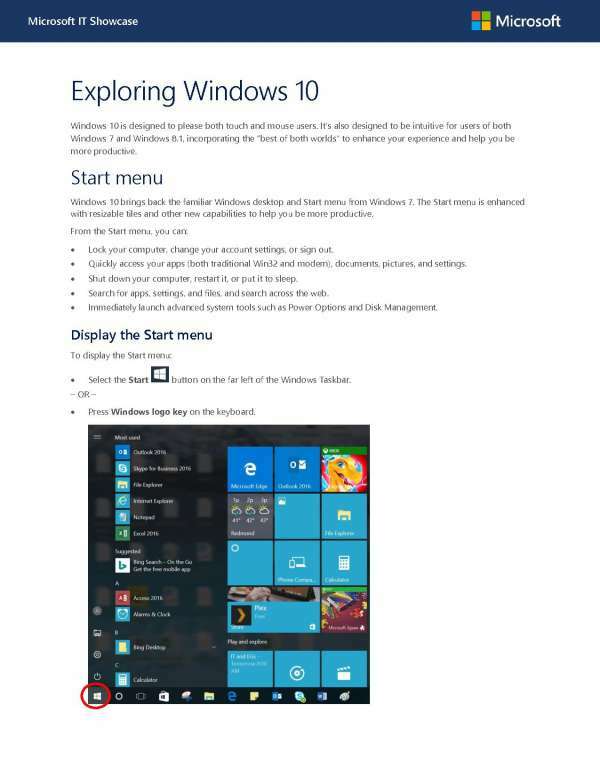 The Microsoft IT Showcase PDF has great information on how you can get the most from your devices with Windows 10. From the new start menu, to the search bar, to Microsoft Edge, learn about the features that will boost productivity on your new device. Interested in getting help with your solutions? At Breakpoint Technology, we have helped many businesses get the most from their new devices. Contact us today to find out how we can help your business do the same.